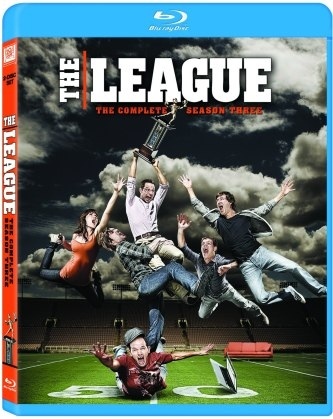 ‘The League’ Season 3 Blu-ray Announced and Detailed!!! The third season of ‘The League is releasing October 9th. That’s the same day as ‘It’s Always Sunny in Philadelphia’s’ 7th season release. This was a great season and can’t wait to have it finally on home video. To be a fan of The League, you don’t need to know much about fantasy football, or sports at all. You just need to have friends that you hate. The ensemble comedy follows a group of old friends in a fantasy football league who care deeply about one another – so deeply that they use every opportunity to make each other’s lives miserable. Ewan McGregor Will Play Brothers For ‘Fargo’s 3rd Season On FX!!!! This entry was posted on Tuesday, July 31st, 2012 at 10:33 pm	and is filed under Uncategorized. You can follow any responses to this entry through the RSS 2.0 feed. You can skip to the end and leave a response. Pinging is currently not allowed. « ‘It’s Always Sunny in Philadelphia: Season 7’ Blu-ray Announced and Detailed!!! Were you going to say goodbye? Tristan? How long will you be gone? Not long. A few months. I can make it better for you. If we'd had a child or if I were pregnant, would you still be going? Look at me. Please, look at me. I'll wait for you. However long it takes. I'll wait for you forever.